"That poets (using the word comprehensively, as including artists in general) are a genus irritabile, is well understood; but the ruby, seems not to be commonly seen. An artist is an artist only by dint of his exquisite sense of Beauty - a sense affording him rapturous enjoyment, but at the same time implying, or involving, an equally exquisite sense of Deformity or disproportion. Thus a wrong - an injustice - done a poet who is really a poet, excites him to a degree which, to ordinary apprehension, appears disproportionate with the wrong. Poets see injustice - never where it does not exist - but very often where the unpoetical see no injustice whatever. Thus the poetical irritability has no reference to "temper" in the vulgar sense, but merely to a more than usual clear-sightedness in respect to Wrong: - this clear-sightedness being nothing more than a corollary from the vivid perception of Right - of justice � of proportion - in a word, of xxxxxx [Greek text]. But one thing is clear - that the man who is not "irritable" (to the ordinary apprehension), is no poet." This makes perfect sense to me and I couldn't agree more, dammit! In addition to the reason Poe gives, I think artists are simply more emotional in general. Now learn how to drive or get the hell out of my way! "I think that those who are less affected by the world around them would find it hard to create art with sufficient substance, and without that substance, what one writes, draws, composes, etc. is nothing but hollow, dull, and unentertaining. <a href="http://en.wikipedia.org/wiki/Emily_Dickinson" target="_new">Emily Dickinson</a> offers keen observations of the world around her that someone who lacked the irritability Poe describes here would simply not be able to accomplish. The same can be said for Poe's ability to set an atmosphere for his works." "Yes, I totally agree. I think quite a bit of today's "art" is created solely for commercial purposes and lacks the depth that an artist's personal struggles give any great creative work. I think that's called "soul" or something." "I'm with it!!! This is more reason to love Mr. Poe's stories and poems. I feel those content with the surroundings that bind them have no reason to speak out, to express themselves. Why should they? They see no wrong with the world they live in. Yet those irritated at the system in some way feel the dire need to express themselves. And why the hell not! Express your anger in a positive way! An artistic expression of irritability beats violence any day, in any way. Anger is as a natural as happiness. Irritability is only a weakness in your traits if you cannot control your actions. Release that emotion on canvas or paper; you might get a classic or masterpiece. YOU MIGHT JUST PISS SOMEONE OFF ENOUGH TO MAKE A CHANGE!!!!" "I must agree with him, because I know myself. I write (even if I'm no miracle of literature myself), and writing always includes strong feelings. Irritability, I think, was for Poe (the way I perceived it) the strong sensibility of a poet which ends up in augmenting the basic feeling. Poe emphasised indignation and a sense of justice in that quote, those probably being the feelings which gave him the impulse to write. But each writer has his own set of pressuring emotions. For some, love and gratitude work best; for others (like myself, even), deep sadness and disappointment are the key. Either way, an artist must have some kind of hypersensibility, because that might be the only way to understand the world." "Hey! I found a great site on the popularity of literary and other famous personalities. Edgar Allan Poe is ranked as 38th in literature and 288 in popular personality in the internet. Please check out the link http://www.thepoplist.com/card.data/Edgar%20Allan%20Poe_19989349.htm He is ahead of Agatha Christie and others. It's a dynamic site and indicates his popularity is growing and falling over last month but he touched 29th position repeatedly. Site also tells you he is Capricorn at number 25 position." 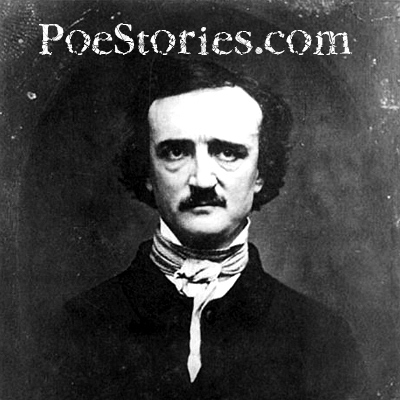 "I love this because Poe is explaining exactly what the true essence of a poet is. A poet is someone who sees the regularly unseen, and puts it into terms any human with any sense of thought or capacity for depicting information could understand. Everything he says in that article truly depicts everything a poet should strive for and explains exactly why we are misunderstood. People hate us because we can see their flaws no matter how invisible they are thought to be, people hate us because we can express what they can't even feel, people hate us because we can't understand the darker side of humanity when they can't even see it." "The tragedies in my life and the ignorance and cruel treatment given to me and others like me has made me extremely irritable. Poe must have felt the weight of the world on his shoulders and expressed these feelings through his stories. My father made my mother and I very upset. His drinking and his insensitive and monstrous behavior caused her depression to worsen and as you can expect offered her little comfort on her death bed. After she died I began collecting her notebooks fearing his girlfriend might burn them. What I thought were gardening notes and memos were pages and pages of poetry. "To be thoroughly conversant with a man's heart, is to take our final lesson in the iron-clasped volume of despair."-Poe. The true artist is also strong because they bear the burden of knowing the darkness of humanity. If those other people were to have all that strain placed upon them, they would be crushed." ""Exactly"! thats what I have been trying and trying to get people to understand. Finally people who know what i am talking about. Poetry I believe brings (People) together, because you show a part of your life through the good and the bad. It's there for others that are in need of sympathy and sort of receive it through your work. Not just poetry but art too! I just have this LOVE for anything to do with art. I just cant explain enough of how much I love ART!" "Only a person who senses intense feelings, can really become a real poet-writer. Even if you manage write a best-seller (for example), if you don't have strong, intense feelings, you won't become a good writer, and will be forgotten soon. At the same time, i disagree to the fact, that all good poets-writers-artists are (should be) irritable... you can be just as good if you are a calm person, or any other type of character you have. The only important thing is that your feeling be continuous and not unpredictable. The only impact it has is the the genre of your creations, and the themes you use. ...btw, i do prefer "irritable" poets such as Poe"
"gah! I LOVE edgar allan poe. I'm only 14 and I understand most of his work. I admire him and desire to read more of his work. My favorites are "The Raven" "The Fall of the House of Usher" and most of all "Tell Tale Heart" :DDDD I love it so much." "Here's a little something I wrote about the tortured grumpy artist, myself included! <br /><br />GRUMPY: <br /><br />Are we THAT horrible, <br />that we must be so grumpy? <br />not striving to live tortured lives, <br />like magnets, these things come in. <br />Acceptance our motivation? <br />To unearth this hideousness, <br />there IS an advantage: <br />at least we know who we REALLY are, <br />no MASKS here! fakeness never abided here, <br />but courtesy certainly would be a plus, <br />in fact- I'm hesitant to say-a MUST!" "People with a perfect life have no imagination. Simple as that. Troubled people can think up lots of stories, which usually relate somewhat to their life." "I agree with poe here. Though it doesn't have to be irritability. But any emotion that is extra sensitive. Take happiness just as anger. Dreams could fuel some writers and that closer link to their imagination could make everyday things seem extraordinary, while most people see the plain day. I think any artist in general, that can take an emotion or anything and pull the audience into the same state that the artist is feeling in that moment is truly an artist. I don't think there is such thing as a perfect life. Perfect is an opinion so its not a definite ideal for everyone. People that are content with no expression just seem like corpses to me." "Yes. True artists are easily irritable because they do not like to be distracted or detoured from their work, not when they truly love what they do. It's quite interesting to watch someone who is irritating an artist because artistic people in themselves are overly emotional or not emotional enough face to face and often over-react to silly things. Enlightened people are just as bad, when you understand an artist you sometimes act like them. I for one love to write and I'm the easiest person to irritate on the planet. Though there are some mild tempered artists, they are usually few and far between." "Yes true artists are irritable! In order to do what they need to do they must reach deep down inside themselves to find true beauty, a beauty so deep that only they can comprehend it entirely. This could take hours, days, weeks, months, years, forever and would this not make you irritable? Think about it not just mentally but phyically as well as any other way. Try to succeed in making true art. If you do not succeed in this try to help an unknown artist become a known artist. Thanks for your time and mind, Broken Hearted♥"
"The world revolves around him. Creepy!"